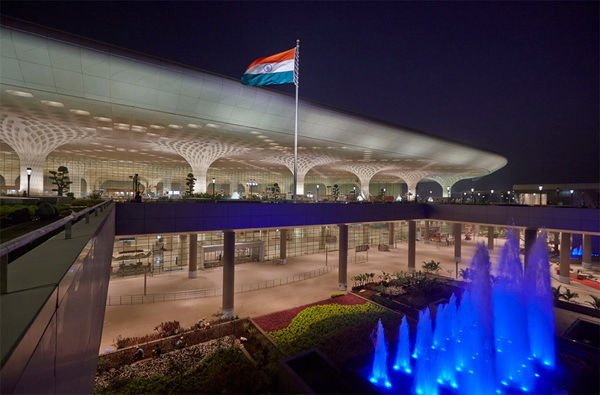 Chhatrapati Shivaji International Airport (CSIA) formerly known as Sahar International Airport is the one among the best International airports, the second busiest in the country and 47th busiest airport in the world. 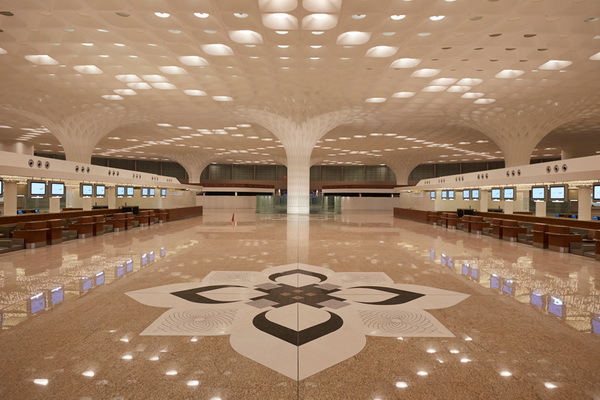 This Mumbai Airport also one of the charming airports with its newly done International T2 terminal connecting the world with India. CSIA has five operating terminals and is sprawled over 750 hectares. It handles around 750 aircraft movement per day and also has a record in handling 51 movements in an hour which happened on 16.09.2014. 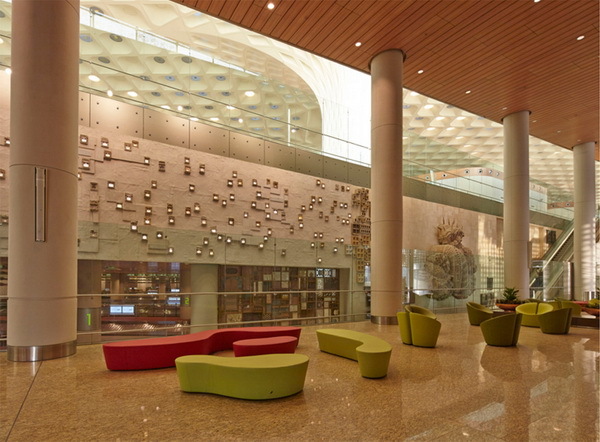 CSIA has two passenger terminals; T1 at Santacruz for domestic and T2 at Sahar for international. Terminal T1 which is used for domestic flights has 3 adjacent structures A, B and C designated for different airlines and to ferry passengers from terminal to air crafts, several airlines operate BEST owned air conditioned Cerita buses. Terminal T2 at Sahar is the new and iconic, India's first and most advanced vertical passenger terminal that sets apart in architecture, infrastructure and efficient operation. 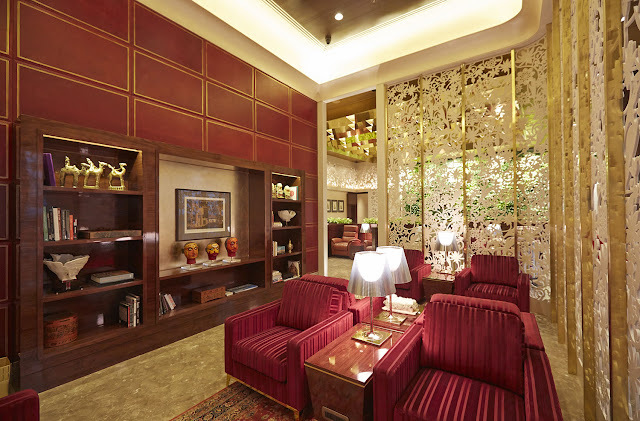 Its a confluence of rich heritage and modern amenities. Constructed by L&T, architectural design by Skidmore, Owings and Merrill (SOM), its been managed and operated by GVK led consortium. 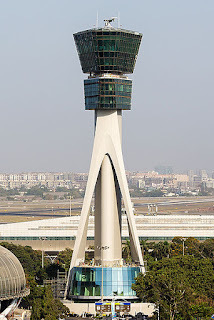 It is one of the kind infrastructural project in the world, unlike any other airport development projects. This new terminal has around 21,000 square meters of retail space, lounges and travel services; 5,000 square meters of of landscaping and a multilevel and a multilevel car parking which can park around 5,000 cars at a time. Shopping area and restaurants is common for any Airport but this one is famous for its Art & Culture. 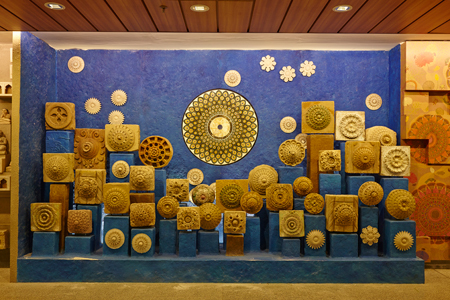 T2 is home to India's largest public art programme "Jaya He", which is a 3.2 km multi-storey art wall. Jaya He has brought together designers, artists, architects, art historians, conservators, technicians to work towards bringing the best in best Indian Culture, in every manner possible; this is a step towards making visitors live and feel that they are in the heart of India & South Asian Continent. The highlight of T2's architecture is the diamond cut shaped - illuminated sky lights, which are the largest skylights ever built in Asia and has around 7000 pieces of art work and artifacts from around India. The total length of the terminal's external facade is around 3 km. T2 has 168 numbers of economy check in counters, 20 numbers of VIP / CIP check in counters and 8 numbers of International to international transfer desks and around 6.5 km of Conveyor belts are used for transporting baggage. 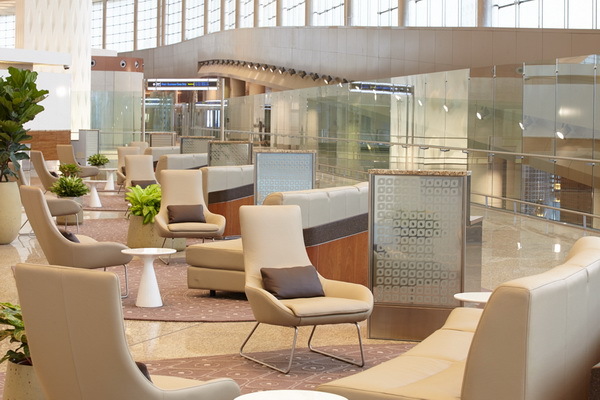 The GVK Lounge here is world class and first ever common Luxury Lounge in the country unlike other airports having different business class lounge for different airlines. 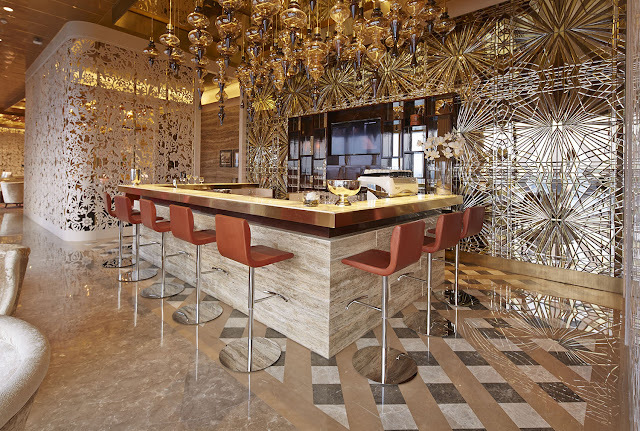 Offering distinct and most modern facilities like Concierge Services, Smoking Zone, F&B, Bar, Luxury Spa, Shower Area, Relaxation Area, Library and a Business Centre; it ultimately gives an amazing sense of peace and relaxation. So far so good, this place boasts about a lot of this and most important of all is the appreciation by all who have experienced it. I am one among those who always wanna experience new and T2 is definitely on my wishlist. After all from what I have mentioned above is from whatever I have read or listened from people. Hope you all want to come and explore this new terminal too. Nonetheless, don't forget to click that selfie with the new ATC (Airport Traffic Control) tower at T1 "mind the traffic". Mumbai Airport, where dreams take flight. Have a happy trip to you. Agreed! Well written. I think public private partnership has worked wonders in indian aviation infrastructure.